Perfect pad for really tiny tots. The core is made from breathable rubberized coco coir and provides an ideal microclimate. 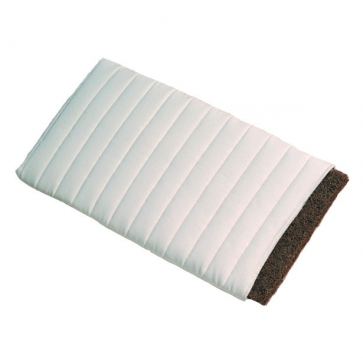 The removable cover is made from sturdy certified organic cotton drill and quilted with soft, temperature balancing certified organic pure new sheep’s wool. It’s the ideal mattress for moses-baskets, prams and cots. The mattress can be custom-made in different sizes.